In August 2011, 29 year-old Mark Duggan was shot and killed whilst being arrested by armed police in Tottenham. 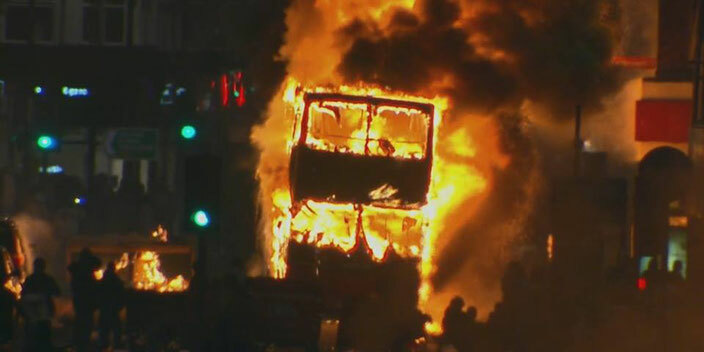 The incident ignited a riot that escalated into a week of the worst civil unrest seen in recent British history. Amponsah’s documentary follows two of Mark Duggan’s childhood friends, Marcus and Kurtis, for two years. We watch them struggle with their grief and, in the aftermath of the violence, try to move forward. I was abroad in 2011 when the riots started in Tottenham. It was a shock to see the anger, violence and destruction take hold. However, as is often the case in today’s world of 24 hour rolling news, the real reason for the riots soon became lost. Amponsah’s stylish documentary provides a fascinating and illuminating account of that time. It is also deeply moving as it focuses on the facts surrounding Mark Duggan’s death, observes a community's grief and explores the lasting impact of the riots. At the beginning of The Hard Stop, Marcus is facing imprisonment. He is accused of orchestrating the riots in Tottenham - an allegation seemingly confirmed by CCTV footage. When faced with such evidence, he can only explain that he “just lost it”. Martin Luther King said (and the film uses this quotation) "a riot is the language of the unheard". Watching The Hard Stop, this sense of frustration and powerlessness is all too clear. I can’t imagine how hard it must be to lose a loved one in such a tragic and controversial manner. However, the riots led to five deaths and £200m of property damage. How can this be the answer? Crucially, the documentary shows Marcus and Kurtis' disgust at how the riots were exploited by people seeking to use Mark Duggan's death for mindless violence and looting. This was not their intention. Their instinct, while borne of an anger never condoned by the film, was to protest the death of their lifelong friend and challenge the toxic relationship between their community and its police force. The Hard Stop also provides an illuminating insight into the 'real' Mark Duggan (as opposed to the media construct). Both Marcus and Kurtis remain close to Duggan’s family and, as a result, we hear from Duggan’s widow and see the impact on his young children. However, The Hard Stop is not a film without hope. Kurtis is endlessly admirable in his determination to find a job and provide for his family. Meanwhile, on release from jail a visibly changed Marcus decides to become a mentor to young kids - determined to help them achieve a better future. A hard stop is a tactic used by the police in circumstances where they believe a person in a car is a danger to the public. The police use their own vehicles to box the suspect's car in - after which point they can then make an arrest. In January 2014, an inquest found that Mark Duggan had been lawfully killed. The jury concluded that Duggan had a gun in the taxi with him before it was stopped and that the likelihood was he had thrown the weapon onto a grassy area as soon as the car was subjected to the hard stop. This verdict was, of course, deeply upsetting news for Duggan's family and supporters. However, in October 2015, the family was given permission to appeal against the High Court's decision. 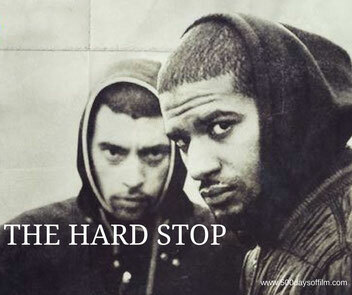 Have you seen The Hard Stop? If so, what did you think of this documentary film? I would love to know... do leave me a comment in the box below!